For years, private-label over the counter (OTC) drugs have proven to be a frugal, formidable alternative to their brand-name counterparts. It’s no secret that private-label OTC remedies have been growing increasingly popular with American consumers—so just how ubiquitous are they? Turns out, the answer is: very. In 2015, a report revealed that private label brands hit $118.4 billion in sales—a whopping $2.2 billion more than the year before. There exists a direct correlation between this impressive sales bump and the changing preferences of the American consumer. Shoppers are becoming less attached to brand name drugs, as evidenced by the 81 percent of North American consumers surveyed who said that they purchase private-label brands to save money. 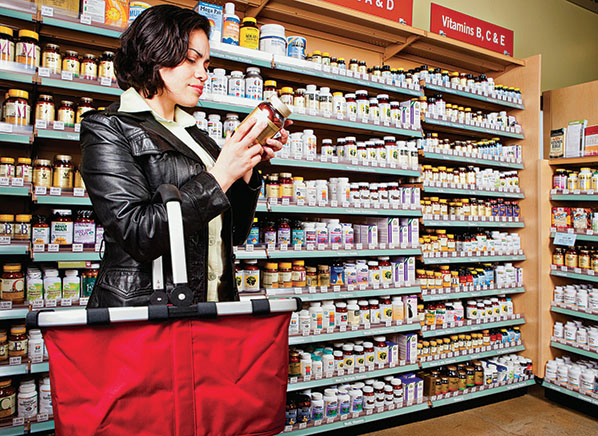 The majority of shoppers are turning to private-label OTC remedies for their health and wellness needs, which raises the question: why the clear dominance of private-label over national brand? To understand how private-label pharmaceuticals have gained such prevalence in the market, we need look no further than consumer savings. Teri Gault, author of Shop Smart, Save More, explained her rationale for choosing private-label products: “Generally, store brands are about 40 percent less than their name-brand counterparts.” What’s more, the National Bureau of Economic Research recently found that shoppers could save an estimated $44 billion a year by buying private-label brands over national brands. Especially in a post-recession economy, consumers are more likely than ever to place high value on low prices and savings. In this context, the predominance of private-label OTC products makes perfect sense. The price point for most private-label OTC remedies is certainly a strong selling point—but what about quality? Is it true that store brands and national brands are more or less equivalent in safety and efficacy? According to consumers and manufacturers alike, private-label products are indeed just as high quality—if not higher quality—as their national brand counterparts. A recent poll of shoppers indicates that the quality of store brand products—in addition to the price—is an important factor in convincing shoppers to continue buying them. And according to a recent research survey, 9 in 10 shoppers agreed that the private-label products they buy are as good as or better than national brand products. As consumers continue to trust private-label products (and specifically, private-label OTC drugs), it is more crucial than ever for manufacturers to ensure the quality and safety of their products. Here at Sheffield Pharmaceuticals, we strive every day to produce the highest quality private-label pharmaceuticals possible. Whether consumers are looking for psoriasis medicated moisturizer, bacitracin, muscle rub, or triple antibiotic, Sheffield provides products that distributors and consumers alike can trust and love. We invite you to learn more about the high quality private-label pharmaceuticals at Sheffield by exploring our site or giving us a call today!